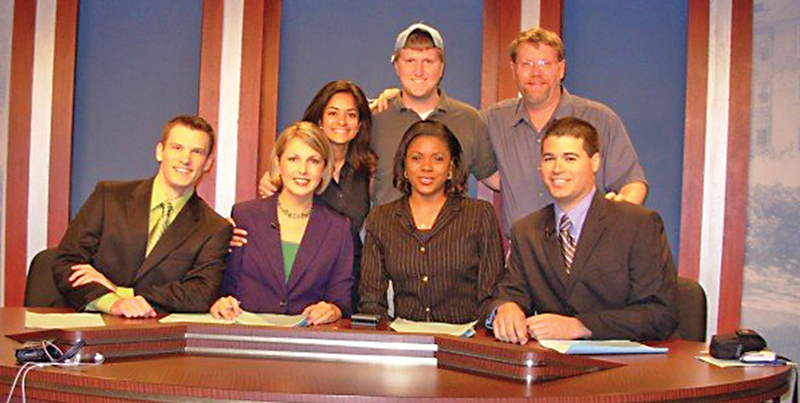 It’s hard to believe it’s been more than 12 years since I was a fledgling, wanna-be news anchor/reporter at the University of North Carolina-Chapel Hill, learning the ropes with the school’s student-run news program “Carolina Week.” My professors did their best to provide as close to a “real world” experience as possible. There were strict deadlines and high expectations—and with a live broadcast twice a week, there were absolutely no do-overs and lots of learning from our mistakes. Despite how much the program whipped me into shape and helped me land a job out of college, there is nothing—no college professor, program or internship—that can truly prepare you for life in a “real” career setting. Whether you are in the cutthroat world of TV broadcasting or not, it’s typically a sink-or-swim environment wherever you end up. Some young professionals struggle, some get comfortable and settle… while others take it all in and thrive. the list goes on and on. Read more about this year’s group starting on page 26. Also inside, learn about an improved Young Professionals of Central Virginia, now offering some new professional development opportunities for participants. 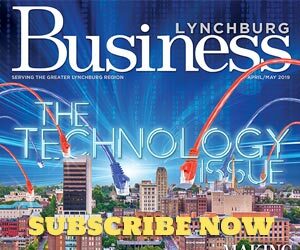 Our Leader Profile is the newest face on Lynchburg City Council… with a millennial perspective. Find a Q&A with Beau Wright on page 20. We are also excited to have former “Millennials on the Move” Patrick Bolling and LaShonda Delivuk contribute to this issue as columnists in our Legal and Marketing departments. I may be more than a decade out from that college newsroom training, but the importance of meeting deadlines is still in my blood. I’m writing this editor’s letter from a hospital bed at Virginia Baptist Hospital’s Labor and Delivery Unit. Many thanks to my understanding co-workers and Shannon Brennan, one of our freelance writers, for stepping in while I take some time off to focus on my other full-time job—being a mom. Editor’s Note: Shelley and her husband welcomed their son, Brooks, into the world on July 3, 2018. Both mom and baby are doing well.